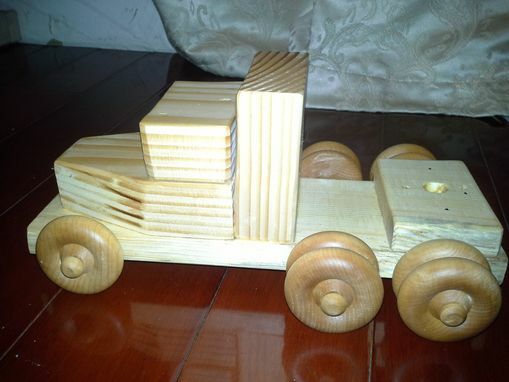 This is a set of three toys made so that they can stack on each other with a removable trailer. 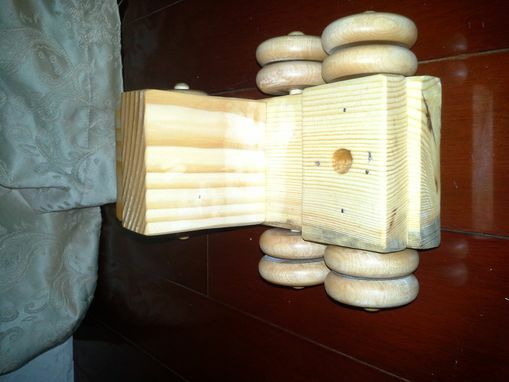 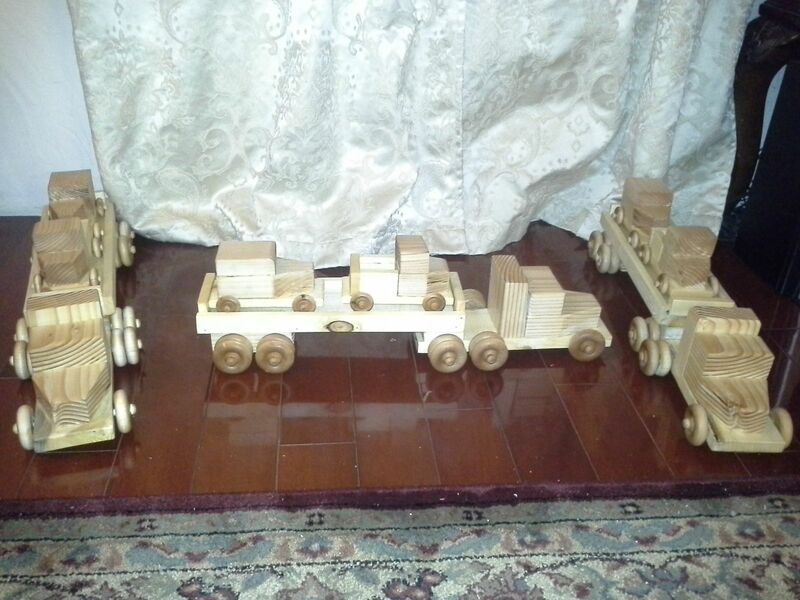 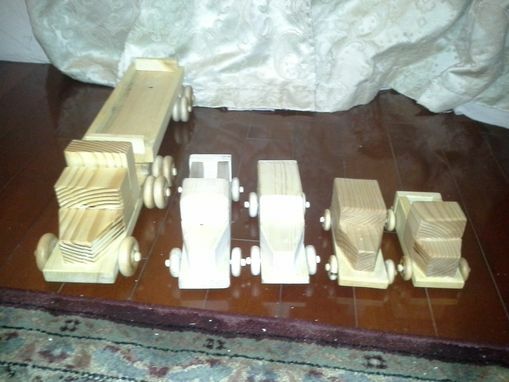 They are made from pine with hardwood wheels and axles. They are sealed using linseed oil to give a natural nontoxic finish.